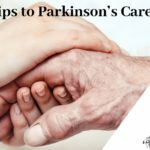 Home/How is Parkinson’s disease Diagnosed? And What Are the Treatment options? 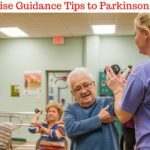 How is Parkinson’s disease Diagnosed? And What Are the Treatment options? 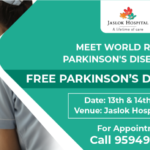 Parkinson’s disease is caused by the gradual degeneration of nerve cells in the midbrain portion that controls movement. It is very difficult to make an early diagnosis of this disease because they symptoms are not very conspicuous. 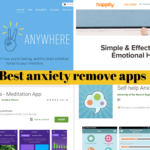 The most common symptoms that you will see are a feeling of weakness or stiffness in your limb or a slight trembling in one of the hands even when it is at rest. As the disease progresses, the tremor worsens and the shaking increases, muscles tend to become stiff and movements become slow. This hinders normal functioning and the individual faces emotional problems leading to depression. Parkinson’s is diagnosed by outward symptoms if they are distinctive enough to be seen easily. However, there is no blood test or scan that confirms the diagnosis. Our body movements are regulated by one portion of the brain called the basal ganglia. The cells here require a proper balance of two main substances namely – dopamine and acetylcholine. These two substances are involved in the transmission of the nerve impulses throughout the body. When the cells that produce dopamine begin to degenerate, it causes an imbalance in the two neurotransmitters. Genetics have a major role in the breakdown of the cells. Well, research has also shown that Parkinson’s can be caused by a viral infection or exposure to some kind of pesticides or toxic chemicals. In a general sense, the actual cause of this disease is yet unknown. How the neurons actually become impaired is unknown. There is however an increasing belief that Parkinson’s is inherited. What are the treatment options for Parkinson’s? 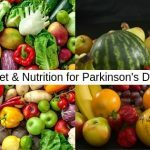 Parkinsons disease treatment includes restoration of proper balance for individuals by increasing the dopamine levels. Drugs are generally used to restore proper balance. If the condition worsens and cannot be controlled by medication alone, other means of treatment such as deep brain stimulation (DBS) can be used to correct the situation. Parkinson’s can be controlled in initial years without having to resort to DBS. Medication alone can help reduce the symptoms and patients can get back to routine life without any major hindrances.